In this poster we will continue with the workflow patterns. This time, we will analyze patterns that address complex branching and merging mechanism. 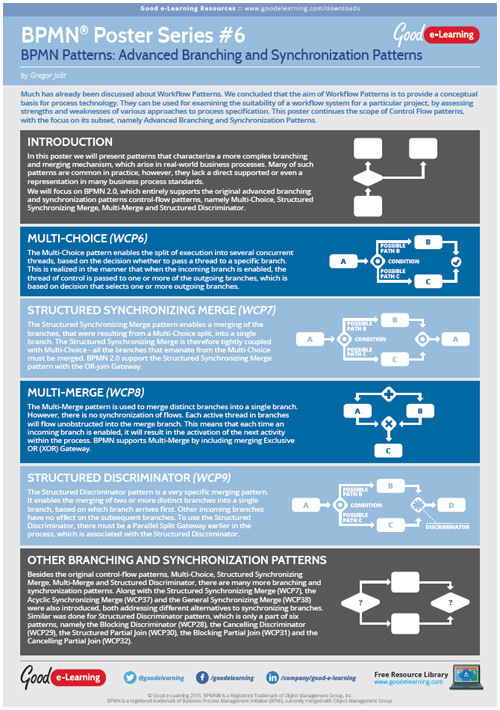 We will focus on BPMN 2.0, which entirely supports the original branching and synchronization patterns: Multi-Choice, Structured Synchronizing Merge, Multi-Merge and Structured Discriminator.